The New York Trilogy takes you on a wild ride through a detective's world. Paul Auster to me is one of the greatest living writers; he's earned a loyal readership and continues to surprise and delight with each new publication. This is a classic that should be read by everyone, inspiring love for well-written, entertaining, and engrossing detective stories. 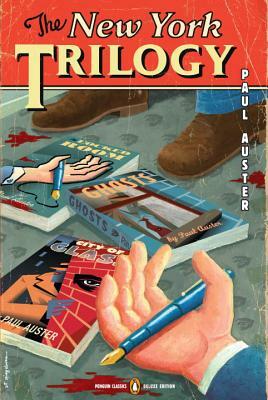 Paul Auster is the bestselling author of The New York Trilogy and many other critically acclaimed novels. He was awarded the Prince of Asturias Prize in 2006. His work has been translated into more than forty languages. He lives in Brooklyn, New York. Luc Sante teaches writing and the history of photography at Bard College. His books include Low Life, Evidence, and The Factory of Facts.